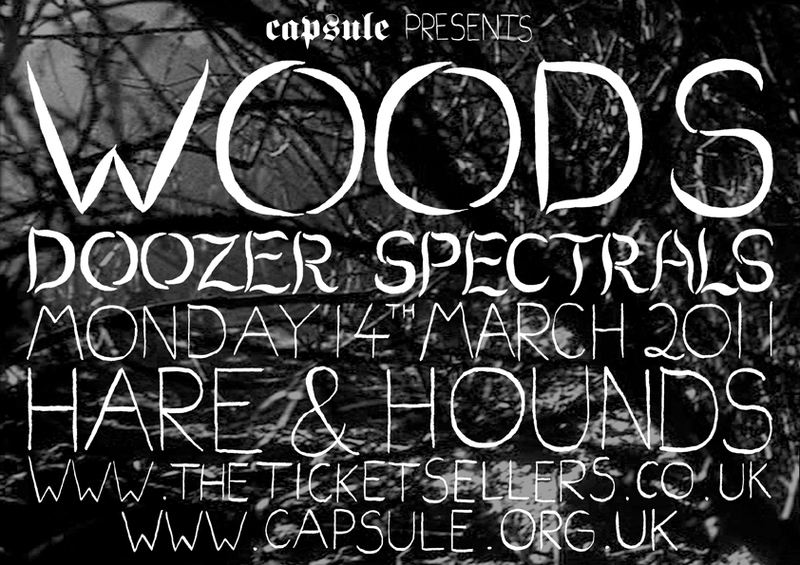 Woods blew us away when they played for us as part of the Shred Yr Face tour in 2009. Stunningly crafted songs take on a whole new direction live, with unexpected tangents, twists and turns. I’ve been hearing this Spectrals track pretty much on repeat on 6music, so looking forward to hearing it live. He makes blissed out, disjointed guitar pop – a perfect support for Woods. Disjointed psych experimentation comes from The Doozer (Slitbreeze), who is gaining much comparison to Syd Barrett for his vocal style. Tickets for this show are available here, or in person at Swordfish Records and Polar Bear.